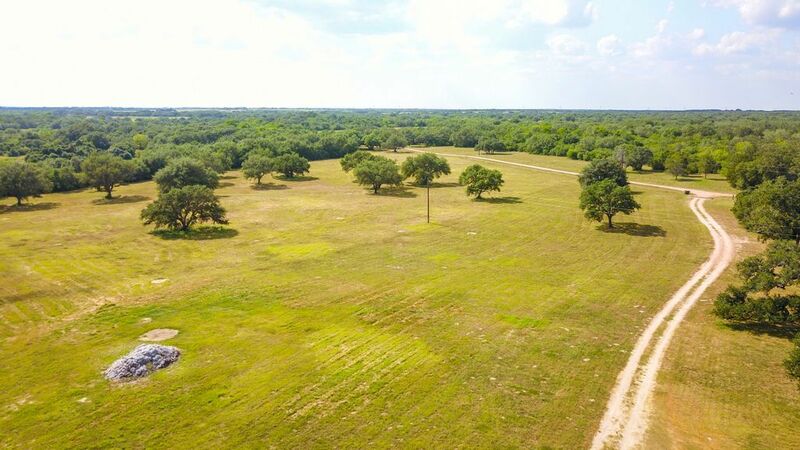 This 42.57 AC gentleman's ranch is located on Hennig Road just minutes from Goliad. Built in 2010, approx. 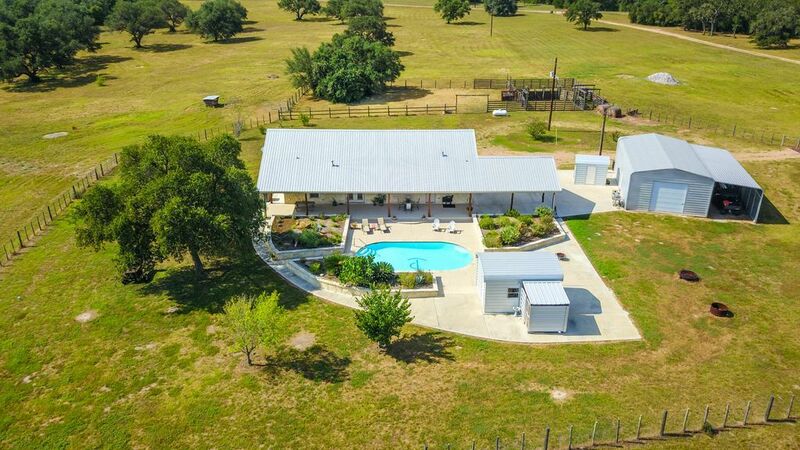 1800 SF, energy efficient, spray foam insulation, 3BD/2BA custom built rock home, covered porches with metal roof and large covered carport 23 x 24. Beautifully landscaped back yard with pool with outdoor shower and toliet. 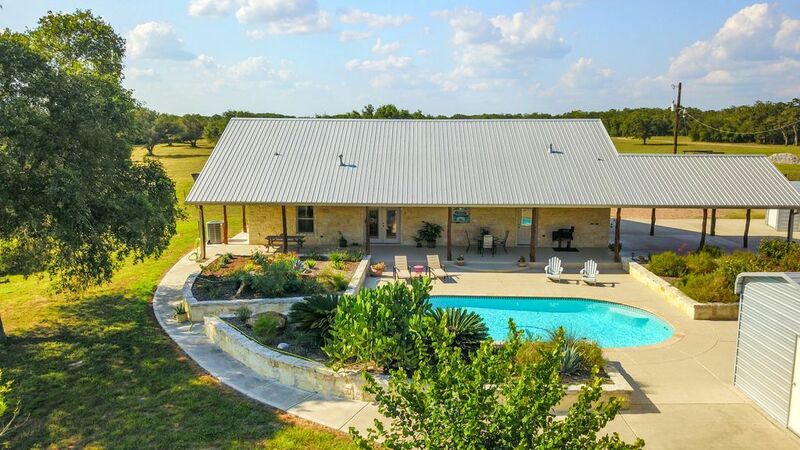 A country oasis that will impress! The property is well maintained, recently sellers professionally installed new cool decking around pool, added seamless gutters and added a new pipe front entrance. 40 X 24 Metal Barn with 40 X 14 covered storage. 21 x 12 Covered Dog Kennel with fencing. RV connections on north east portion of the property including electric, water & sewer. 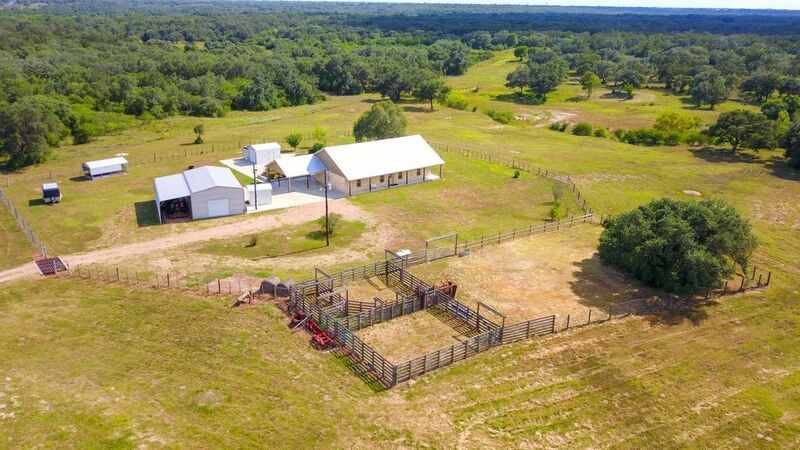 Working cattle pens, perimeter fenced, AG exempt. Private end of the road location, rolling terrain with mature Oak trees along with Manahuilla Creek meandering across the property. Abundant whitetail deer and wild turkey roam the property. Shown by appointment only, 24 hour notice prior to showing, contact listing agent to schedule appointment. Copy of Survey and estimated aerial photo in file, contact listing agent for more details. Disclosure: The modular home located on the north east portion of the property does not convey with sale. The home belongs to a family member and will be relocated 30-45 days after closing. Directions: From Goliad take Hwy 183 North, approximately 2.5 miles, turn right on Hennig Road, continue look for sign on property on right side of road. 1815 Hennig Rd.